PHOENIX -- The daughter of U.S. Sen. John McCain of Arizona says the 80-year-old lawmaker has completed the first round of radiation and chemotherapy as he battles an aggressive form of brain cancer. McCain tweeted Friday "thank you to the wonderful team Mayo Clinic -- we appreciate everything you do!" McCain, the Republican presidential nominee in 2008 and a six-term senator, was diagnosed last month with glioblastoma. CBS News chief medical correspondent Dr. Jon LaPook called glioblastoma a "very serious type of brain tumor." "The problem with glioblastoma is at the time that it is discovered, there are almost always microscopic cells that have spread elsewhere in the brain because it spreads along the nerve cells," LaPook said. 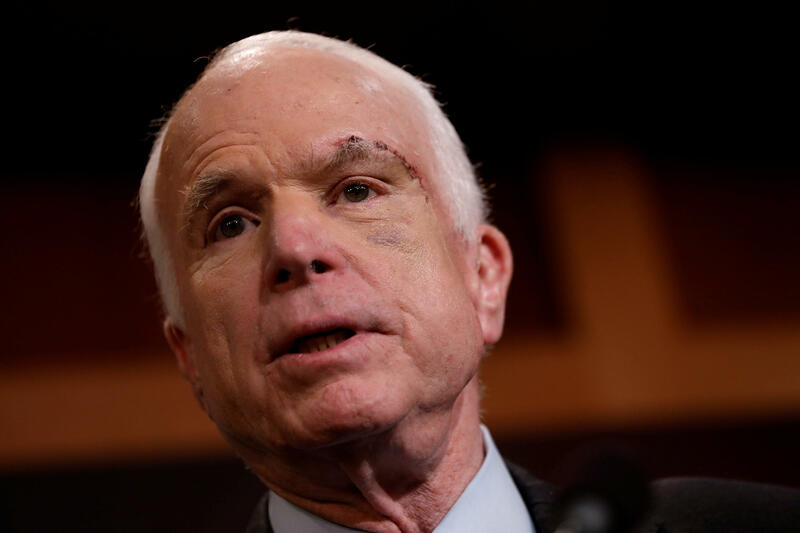 Doctors at the Mayo Clinic in Phoenix say they removed a blood clot above the senator's left eye and managed to remove all of the tumor that was visible on brain scans.